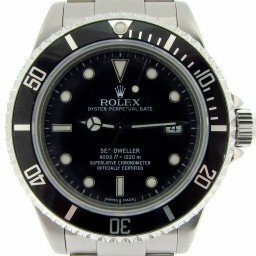 BeckerTime offers a great selection of Rolex Sea Dweller mens stainless steel preowned watches with a case diameter of 40mm with black dials and Oyster bracelets. We think you’ll agree, this watch looks handsome and feels great. Now, you can experience the luxury of owning a Rolex timepiece, but at a pre owned Rolex price.  In addition, BeckerTime offers a 30-day money-back guarantee with each purchase, as well as a Lifetime TradeUp Guarantee for qualified items. We also provide personalized customer service. So, please don’t hesitate to contact us if we can help you find that perfect fit or special gift. Part of the appeal of Rolex is how recognizable their watches are—even among those who don’t consider themselves watch enthusiasts. The Datejust, Day Date, Submariner, GMT Master, and Daytona all have their signature looks. Yet, Rolex manages to balance the familiarity with variety by offering a slew of materials, dial colors, sizes, and bracelet options. But, this is not the case with the Sea Dweller. Looking at the history of the stainless steel Sea Dweller, it’s clearly remained one of Rolex’s most consistent models throughout its 50-year existence. Unlike most other Rolex models, the only Sea Dweller available is a stainless steel Sea Dweller—there are no gold or two-tone models to choose from. Given its status as a professional dive watch, exclusively using stainless steel makes complete sense. The Sea Dweller was, after all, originally produced for the deep-sea divers of the commercial dive company, COMEX. Five decades later, it continues to channel those tool watch roots as a stainless steel Sea Dweller rather than taking a more luxurious turn, like its gold and/or two tone Submariner sibling. From its steel Oyster case to its steel Oyster bracelet, we do not expect a material change to the stainless steel Sea Dweller, ever. Not only is the Sea Dweller exclusively fashioned in stainless steel, it only ever has a black dial and black bezel. There are no other colors to choose from. Again, this enhances the utilitarian aspect of the Sea Dweller rather than playing to any fashion trends. The colorful dials and bezels are left to other more style-centric Rolex models. 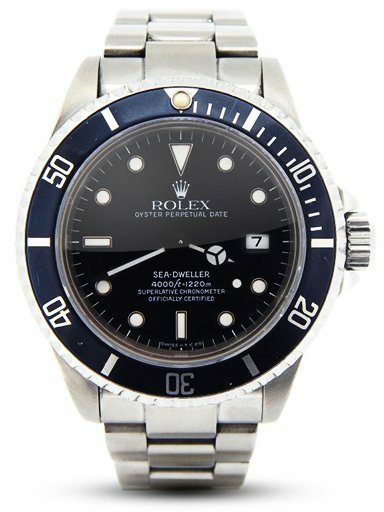 It is worth mentioning, however, that the Sea Dweller’s black dial has undergone some aesthetic variations. From the original Double Red Sea Dweller ref. 1665 with two lines of red text to the ensuing white-only font to the most recent ref. 126600 with the “SEA-DWELLER” label back to red, there have been small, but important changes to the face of the watch. Dive into more details about the Sea Dweller history detailing six models. All of this consistency does not mean that the Sea Dweller has remained stagnant. 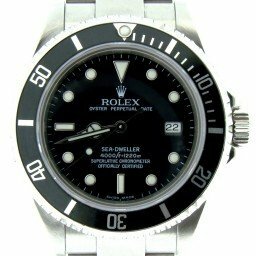 On the contrary, Rolex has steadily improved and modified many aspects of their pro diver while still maintaining the fundamentals. These include movement improvements, the updated Rolex Caliber 3235, water depth rating increases, bracelet enhancements, and bezel material changes. 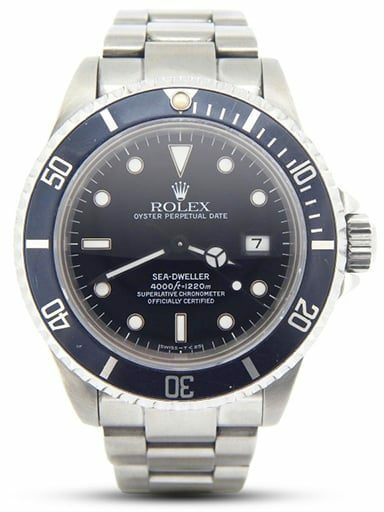 This year, however, Rolex added a few drastic changes to the Sea Dweller anniversary model. First, the size increased from 40mm to 43mm, making it a much larger watch than its predecessors. Plus, there’s the addition of the Cyclops lens—a detail that was never on the Sea Dweller before. While these changes may not seem so significant at first, there’s quite a bit of pushback from Sea Dweller fans. And this is probably because up until this point, the Sea Dweller has remained so unwaveringly true to its original form that these two design alterations seem more revolutionary than evolutionary. But the good news is, for those who prefer the original look of the 40mm stainless steel Sea Dweller without a Cyclops lens, there are plenty to choose from in the secondary market.